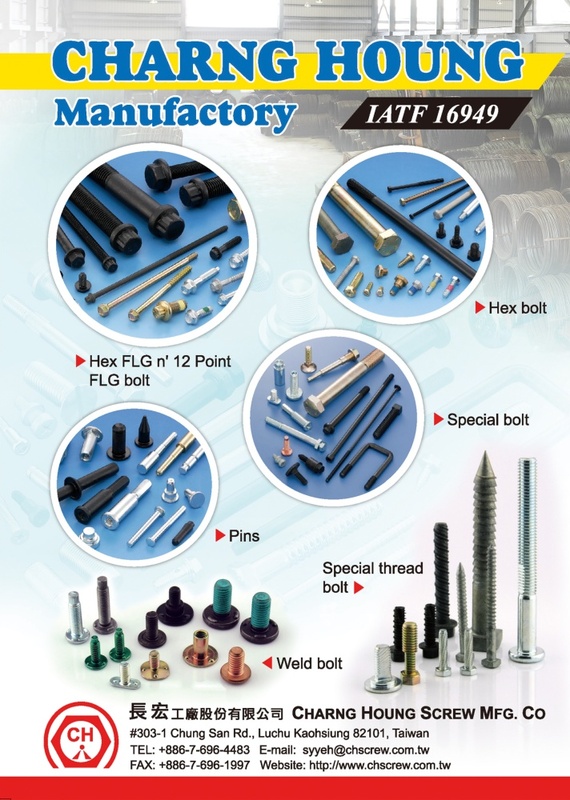 CHARNG HOUNG SCREW MFG. CO.
CHARNG HOUNG was initially specializing in standard bolts and screws. Over these years, we have transformed our products to higher levels of technology, with high value added fasteners. 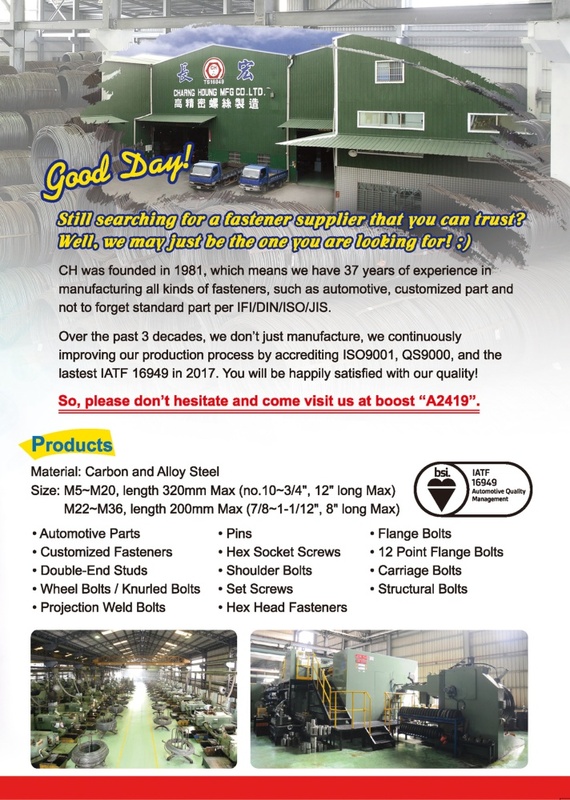 Today, CHARNG HOUNG is not only known for customized fasteners supplier, but also as automotive parts producer. We believe, our success only derives from YOUR SUCCESS!